Rappers love revolution, at least in concept. Politically conscious rappers especially will advocate just about any historical figure that appears to have taken it to the man. Ernesto "Che" Guevara and countless others have been lionized by Hip-Hop at one point or another. Criminal figures like Ellsworth “Bumpy” Johnson and countless Cosa Nostra bosses have also been unofficially elevated to the status of “revolutionaries” if only because their violent criminal activities fly in the face of polite societies values. Rappers, like Americans as a whole, tend to have selective memory when looking back at history. This causes certain historical figures to be assigned a significance that is not befitting them. Sometimes that tendency borders on lunacy, as truly evil men are allowed to be heroes. Shooting at the general; and where's the sergeant? The song was released in 1992, well after Desert Storm. Had Rakim been a higher profile recording artist (and olitically conscious rap a higher profile subgenre), it surely would have stirred up a hornet’s nest of controversy. But it went relatively unnoticed by the mainstream. At the time, it was admittedly a powerful verse, and its sentiment had a profound impact on my 15 year old mind. I was reminded of that song recently after coming across a snippet of an unreleased cut by Raekwon entitled “Footprints of Osama” that chronicles the life and rise of the Al Qaeda leader. 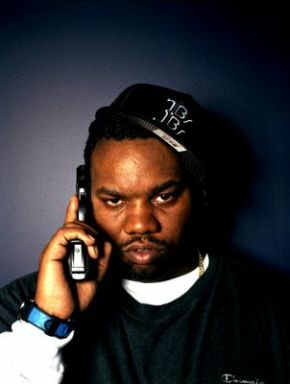 Raekwon is one of the most respected members of the Wu-Tang Clan, who have always promoted Five percent doctrine. Before listening, I prayed that Rae was not doing the same thing with Osama that Rakim had done with Saddam. He claims that Osama “didn’t hate America, he hated the congress.” Then I heard the line at the tail end of the snippet: ”War hero legendary for the Muslims by any means/reminds me of Farrakhan, Malcolm, and King”. For me, that is easily worse than when Ice Cube named himself “Young Osama” on the second Westside Connection album. While I am tempted to defend the song as an unbiased and/or alternative look at Bin Laden, my instincts tell me different. I have not heard the song in its entirety, but what I have heard leans toward glorification in my opinion. I hope that if the completed version ever emerges, I will be able to reassess my judgement. In a sense, it’s all part of Hip-Hop’s logical progression for anyone who’s been reading the signs. New York rappers have long been affiliated with the Nation of Gods and earths. 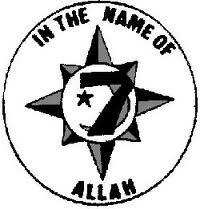 Public Enemy and Ice Cube openly glorified Louis Farrakhan on many occasions during the late 1980’s and early 1990’s. The spirit of the Black Panthers lived on in the work of both Public Enemy and even N.W.A’s early recordings. The Coup and Immortal Technique can also be counted in that bunch. 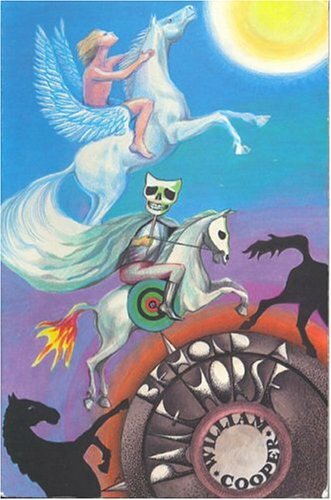 In the last 15 years, the concept of the New World Order and the Illuminati entered the Hip-Hop Lexicon thanks conspiracy laden tomes like William Cooper’s Behold a Pale Horse. The cover art for William Cooper's Behold a Pale Horse. America has a lot of blood on its hands. That cannot be denied. But in this case, the enemies of our enemies are not our friends. Men such as Osama and Saddam have a history of persecuting their own people, just like the slave owners who founded this country and the power brokers who continue to run it. They do so under the guise of a holy calling. The way to undo the seemingly irreparable damage that the United States has inflicted upon its minorities is not by advocating terrorists. Just as America needs to start choosing better heroes, so do rappers. Everyone who undermines or challenges the system is not a hero. Everyone who dies at the hands of a mighty empire is not necessarily a martyr. Let us not side with a villain in order to vanquish the ones under which we live.